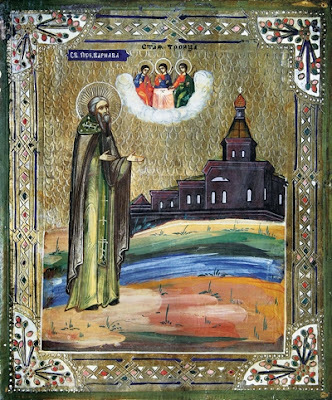 According to tradition, in 1439, before he settled at the River Unzha, Saint Macarius (July 25) came there for instruction and guidance. Saint Barnabas died in old age on June 11, 1445. After the death of the ascetic, at the place of his efforts many monks came to dwell from various lands and after them farmers and many people did spread all along this river all the way to the great River Volga. At Red Hill the monks built two churches, one in honor of the Most Holy Trinity, and the other, over the grave of the monk, dedicated to Saint Nicholas the Wonderworker. They founded a cenobitic monastery, which received as its name the Varnavin Wilderness Monastery. The Life of Saint Barnabas was written in 1639 by a monk of the Varnavin Monastery, “the most venerable hieromonk Joseph (Dyadkin), who later, in the imperial city of Moscow, was in charge of the directory of book printing.” For the authentication and verification of the miracles, which occurred at the grave of the monk, in that same year of 1639 there was an uncovering of the holy relics under the direction of Patriarch Joasaph. With the passing of time at the place of the Varnavin Monastery there arose the district town Varnavin, and the chief church of the monastery became the cathedral church dedicated to the Holy Apostle Barnabas. 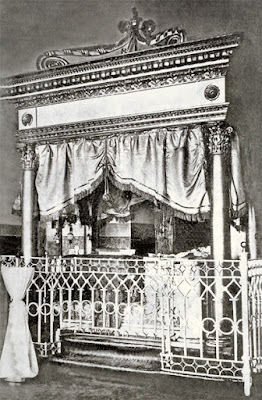 Silver Tomb of St. Barnabas, early 20th cent. In the spring of 1912 the Vetluga washed away the steep bank of the Red Mountain, as a result of which there was a large landslide, which almost destroyed the church standing near the cliff. 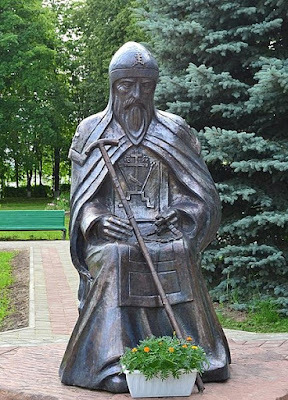 Archbishop Tikhon (Vasilevsky) arrived in Varnavin on this occasion, the relics were taken from under the bridge and transferred to the stone Trinity Church (erected in 1836), where they were placed under the floor in a chapel in the name of Barnabas of Vetluga. Residents of Varnavin appealed to the Holy Synod with a request to allow the relics to be placed in a special tomb, and the Synod issued an appropriate order in March 1914. On 10-11 June, in the presence of many thousands of pilgrims in Varnavin, there were celebrations, headed by Archbishop Tikhon, during which the relics of Saint Barnabas were transferred to the silver tomb established in the Trinity Cathedral. In 1922, when Lenin heard that the relics of Saint Barnabas were encased in a silver tomb, he had them removed and the tomb confiscated. In mid-May 1922 in Varnavin, the relics were opened and for a few days put on public display. 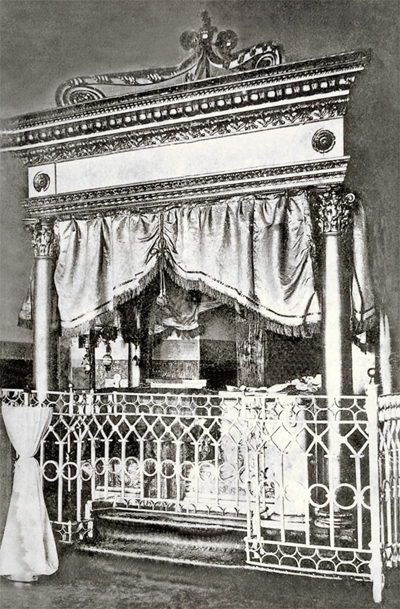 The silver tomb was sent to Kostroma, and the relics remained in the Trinity Church. In the beginning of 1930 the church was converted to a club, and the relics of Saint Barnabas were transferred to the last functioning church of Varnavin - the wooden cemetery Church of the Archangel Michael. 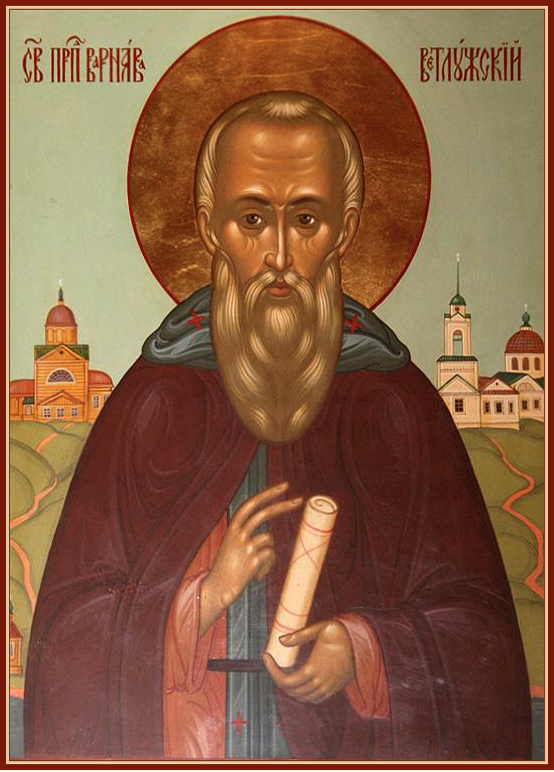 In the autumn of 1991 in Varnavin the first church dedicated to the Saint was consecrated. In 1996, in the center of Kostroma, in Sharya (Kostroma Region), another church was consecrated in the name of Saint Barnabas of Vetluga. 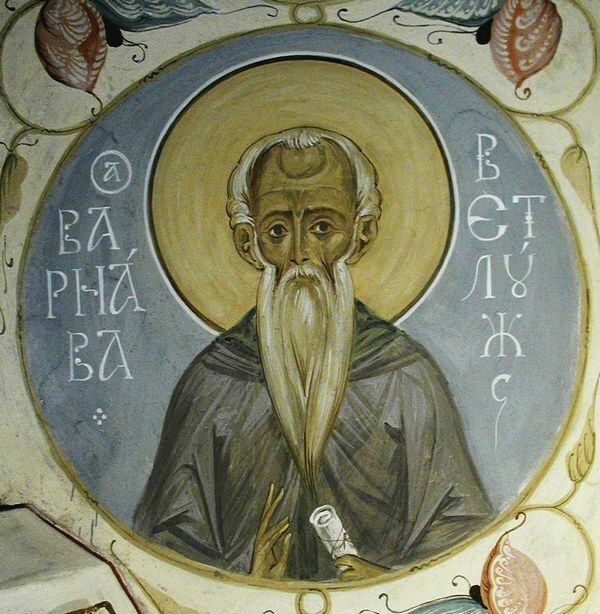 June 24, 1999 in Varnavin on the site of the destroyed churches of the former Holy Trinity Monastery, the Metropolitan of Novgorod Nicholas (Kutepov) erected a wooden church in the name of Saint Barnabas of Vetluga, and the church was consecrated on June 24 the next year. On the same day a commemorative cross was erected on the site of the ancient Saint Nicholas Church, erected once over the burial place of the Monk Barnabas. On June 24, 2014 a monument to the Monk Barnabas of Vetluga in Varnavin was erected.